It might be wise to arrive with an empty spare bag when you visit Chiang Mai, you’ll be thankful when you see the variety of amazing souvenirs on offer. Get ready to bargain and you’ll have your all-important souvenir shopping sorted while you are in Chiang Mai. Muay Thai merchandise is a favourite souvenir for many tourists. These comfortable to wear shorts are authentically Thai and will be sure to tick all the right boxes. You never know your Muay Thai short gift might inspire someone to learn the famous national sport. Khon masks are an essential element in classical Thai dance-dramas. Once a bustling trade, few artisans make the masks these days. They are colourful and include intricate designs, making them a beautiful statement piece in any home. Authentic, handmade Khon masks are rather expensive, so opt for a plastic version if you are on a budget. Philip Cornwel-Smith’s Very Thai gives a fascinating insight into the colourful everyday life of Thailand’s culture. This book will not only explain a few unanswered questions you may have, it also makes a fantastic gift for anyone planning on coming to Thailand or just a keen cultural enthusiast. Bring the taste of delicious Thai cuisine home. 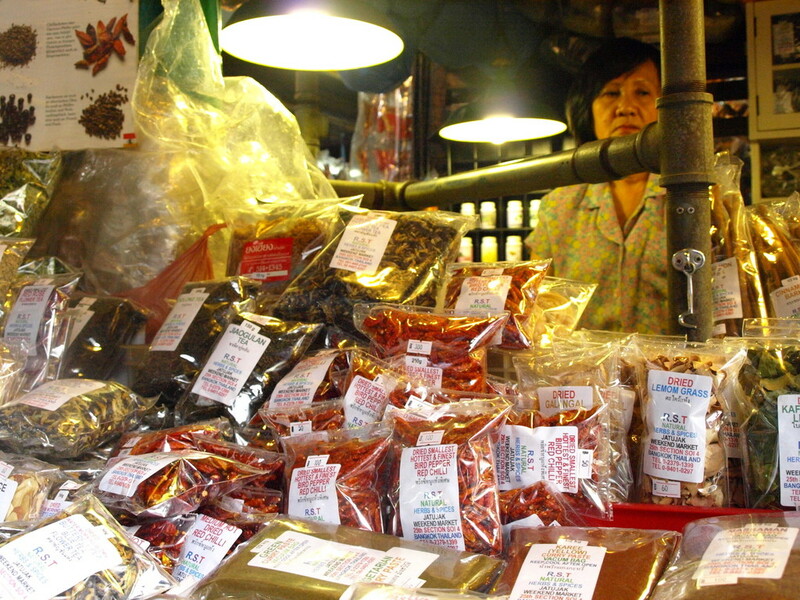 Thai spices make the ideal gift or take it one step further and recreate a dish you learnt on your Thai cooking course to share with your loved ones back home. Be sure to check your country’s customs regulations before you travel to avoid any potential problems. Thai’s are ingenious at recycling in creative ways. A cheap and fun souvenir is a Thai tuk tuk made from old cans. This is an excellent gift suitable for all ages and an added bonus is that these aluminium creations are extremely lightweight. 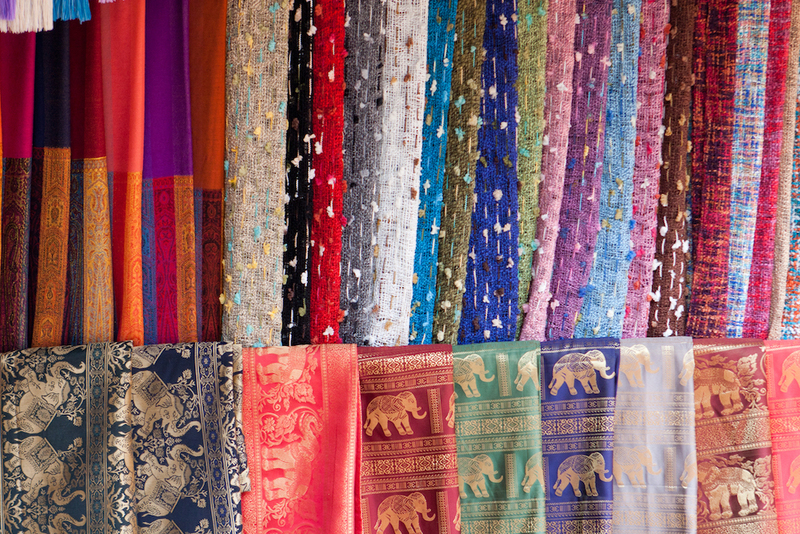 Thai silk is world famous and for good reason. The intricacies of making Thai silk products include caterpillars that produce a natural protein fibre and are specially fed on a strict diet of mulberry leaves. The soft and delicate cloth is then transformed into scarfs, ties, pillow cases, cushion covers, bags and more. A Thai silk souvenir is also a win-win as is it likely won’t take up much room in your bag. 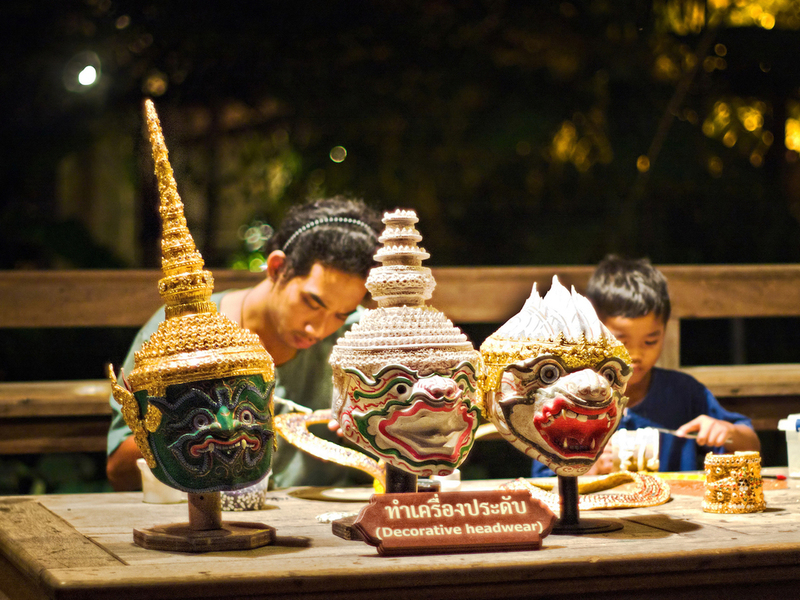 If you’ve spent any time in Chiang Mai you’ll have noticed that Thai hill tribe culture and crafts are abound. From beautiful bags and purses to pillow cases, bedspreads and more. Each hill tribe has its own unique designs and each product is a work of art, painstakingly made by hand. Hill tribe crafts make excellent gifts and are also the perfect way to remember your holiday by breathing new life into your living room. 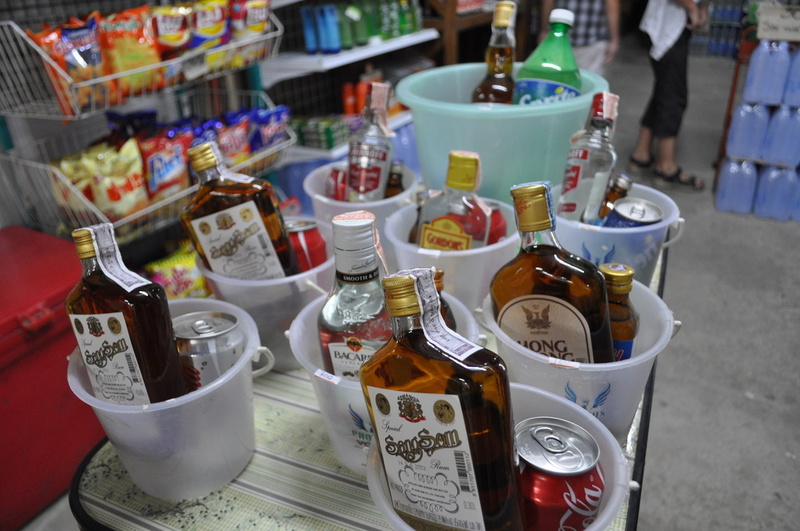 Singha beer and SangSom Thai rum (distilled from sugar cane) are two of the country’s favourite beverages. You’ve likely had the odd sample during your time in Thailand so why not bring a few home for your friends and family to enjoy. Tea grown in the mountains north of Chiang Mai has a unique flavour and makes the perfect gift for any tea lover. From oolong to green, fresh or roasted the choices are plentiful. It might be a good idea to check your country’s customs regulations before making a purchase. Jewelry is always a perfect go-to gift. Thailand is famous for its high-quality silver and for its reasonable prices. Be sure to look out for the .925 stamp to ensure it’s genuine or choose the 99% Lanna silver which is unique to Northern Thailand.